Use these resources to help prepare for unit tests and the AP Exam. You can also learn about where to find the themes of this class in the media. These Korean websites have major vocab, key theories, and concepts outlined for you. Master Prep Korea - paid subscription site. Course taught in Korean and English. Wiki Notes is a valuable source with major vocab and key theories and concepts in very simple outline form. Here are all of the answers to the multiple choice Practice Test Questions at the end of each unit in the Myers text book. This will help you study for unit tests and for the AP Exam. This site has video tutorials on all of the major concepts from AP Psychology. Hank Green teaches you major concepts that will help prepare you for a 5 on the AP Exam in the Crash Course Psychology YouTube series. They are placed in the same order that the textbook follows. Here are all the videos in a convenient playlist. Khan Academy videos are another great way to review concepts and prepare for the exam. Here are all Khan Academy videos, but they are not in perfect order like Crash Course. Just search for a major concept. If you enjoy Crash Course and Khan Academy, these videos might be even better. They are short and sweet and they break concepts down into very easy to understand information. The series is titled Psychology in the Fastlane. Schmoop has another collection of videos that review concepts in a nice and simple format. These videos are categorized in a slightly different format than your text book but it's definitely worth a look. This site has multiple choice quizzes on all of the major concepts from AP Psychology. This site has flash cards, quizzes and games on all of the major concepts from AP Psychology. This site is full of more video tutorials on all of the major concepts from AP Psychology. They are all done by Philip Zombardo from the Stanford Prison Experiment. Here is a site with PDF copies of unit study guide as well as online quizzes that you can grade and see results from instantly. The chapters are ordered slightly different than our text book but the quizzes are perfect. Quizlet is a great way to review vocab for the AP Exam. You can change up the format to simply show you flash cards, play quiz games, type in answers, time yourself, etc. If you just go to quizlet and search for Myers AP Psychology or even just AP Psychology you will find more than enough flash cards and vocab to keep you busy for hours. Here are all the Myers AP Psych vocab compiled in one spot. Here is a copy of an older College Board AP Psych Exam along with the answers. Your text book was written before the new DSM V came out. There are a few changes to the DSM IV that you must know about. Here is an excellent 1 page document to help you memorize the changes. Names are important to know for the AP Exam. Here is a link to a famous names quizlet review for names you need to know. It is very easy to confuse terms that are similar, related to the same topic, or are opposites. Here is a great list of confusing pairs to help you memorize the differences more easily. Here are some resources to help you prepare for the 2 big essay questions on the AP Exam (Free Response Questions / FRQ). This site has tips for answering the questions and some sample questions and scoring guidelines. Here are some tips, techniques, and some basic information about the 2 sections of the test - Multiple Choice and FRQ. Check out the information on this document, I compiled some simple lists for you to use to help you get through the exam more easily. Click this link to calculate your potential AP Psych test score based on how well you are doing on practice exams. Find colleges and universities that offer credit or placement for AP scores. For the most up-to-date AP credit policy information, be sure to check the institution's website. Click on the images below and begin listening to these amazing podcasts or watching these awesome videos. The concepts we study in class are demonstrated in such intriguing stories, and you can listen to the podcasts or watch the videos on your phone, tablet, or laptop. 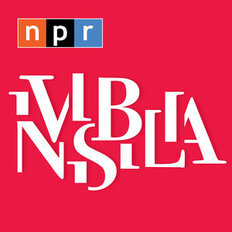 Invisibilia is a podcast about the invisible forces that control human behavior. Hidden Brain is about thinking and behavior. They both serve as excellent sources of real peoples' stories that are directly related to AP PSYCH course content. You can also find these podcasts on the itunes store or by searching the podcast app on your phone. Enjoy listening to these free podcasts. 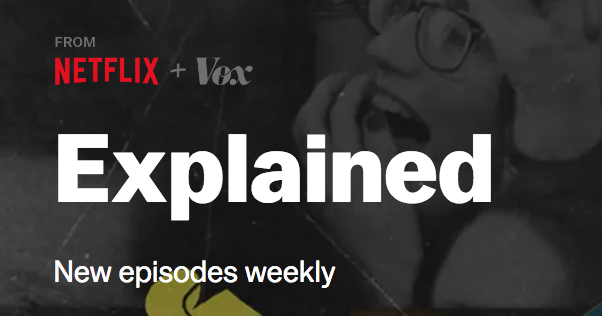 Vox Explained is streaming on Netflix.